In places where the cultivation specificity requires rapid and dynamic growth cycles and heavy use, the two years blend will proove perfectly. It consists of italian ryegrasses enriched with alexandrian clover. Meadows sown with the blend give a very high yield of green mass. Swaths can collect up to 3, 4 times, increasing the efficiency and saving. Grass compenents of the mixture are also very energetic. One of the most important features of each meadows is its energy potential. Pursuant to the components of this unique mixture of grass, we took into account this important factor. 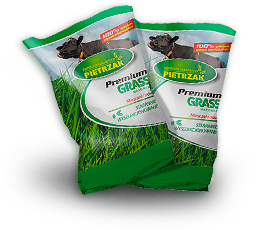 Animals fed with grass grown from meadow mixture Premium Valens receive high protein diet, energetic feeding. They have the right amount of protein in their diet. It reflects easily on the purely economic effects. The perennial grass mixture is a practical and very reasonable choice. We choose to this mix strong and resistant grass seed especially to harsh weather conditions. We have created option perfectly suited for dry areas, periodically dry, marked for the poor quality of the soil. The traditional mixture of grasses in these conditions fail. A blend of Premium Dry has a composition enriched with white clover, which allows you to obtain a composite feed with full nutritious characteristics. Thanks to this mixture, the places where the poor quality soil was not fully productive, now can be used on an equal level with other areas with higher potential. 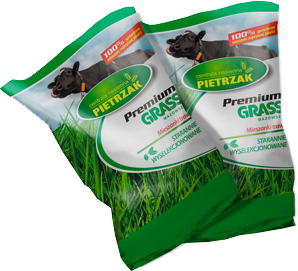 This perennial grass mixture was created specifically for the sowing soils with unregulated water relations. The grass species used are perfectly suited to periodic, excessive humidifying of the soil. It is typical mow mixture. It is used when there is a high risk of losing crops due to adverse conditions associated with excessive irrigation the soil. This blend of grass perfectly handles with soil humidity, repaying with wholesome feed - hay.